We have bred Miniature Cattle for a little over 25 years. We currently run about 300 head. 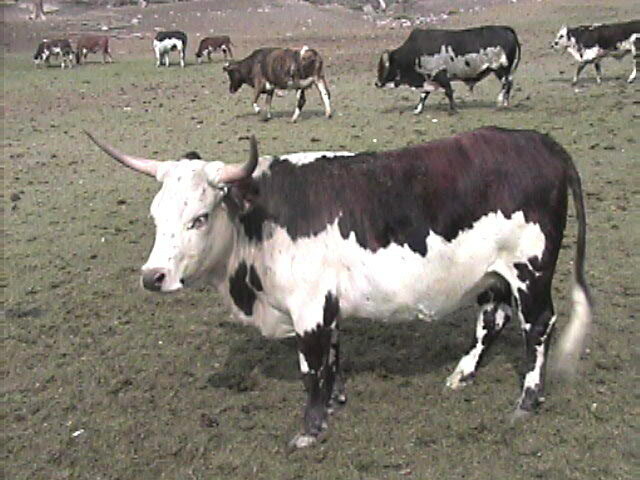 We have Paint Zebu, Red Zebu (Swedish background), Baker- Herraman strain American Zebu, Miniature White-Faced, Miniature dairy type (including Jersey, Holstein, Air shire), Miniature Longhorn, Miniature Watusi, and several projects still being worked on. Our average cow stands at 34-38 inches. We sell 80% of our bulls for junior rodeo bulls.